Pedestrians stroll across a normally busy road in central Durban on a late Saturday afternoon before the next wave of traffic is sent forward by the green robot (traffic signal). 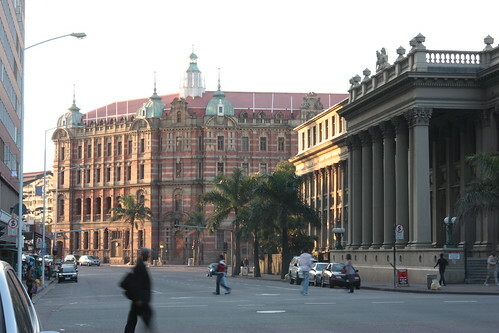 The red brick building in the backgound was originally the Durban main train station. Today part of the restored building houses the Tourist offices, while the old sheds were converted into a shopping centre called The Workshop. 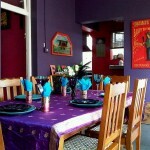 Previous: Durban Image: Getting ready for our first Axis Youth Conference in Durban! Pretty fired up!